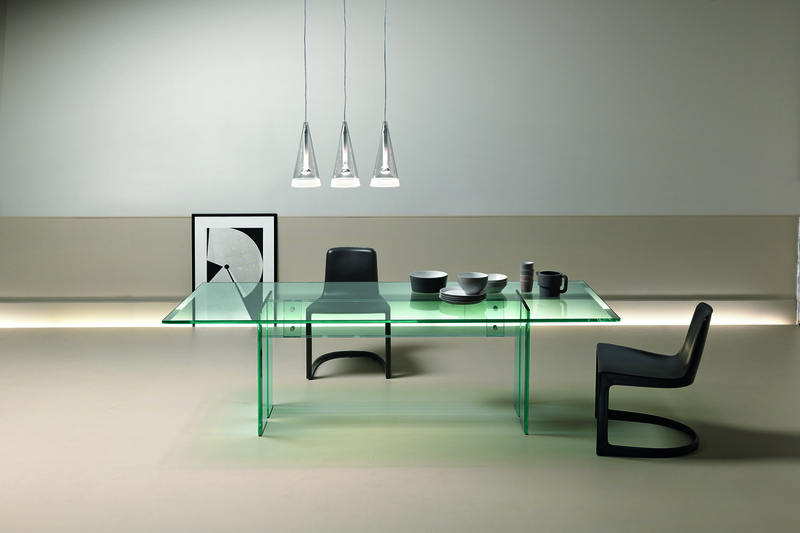 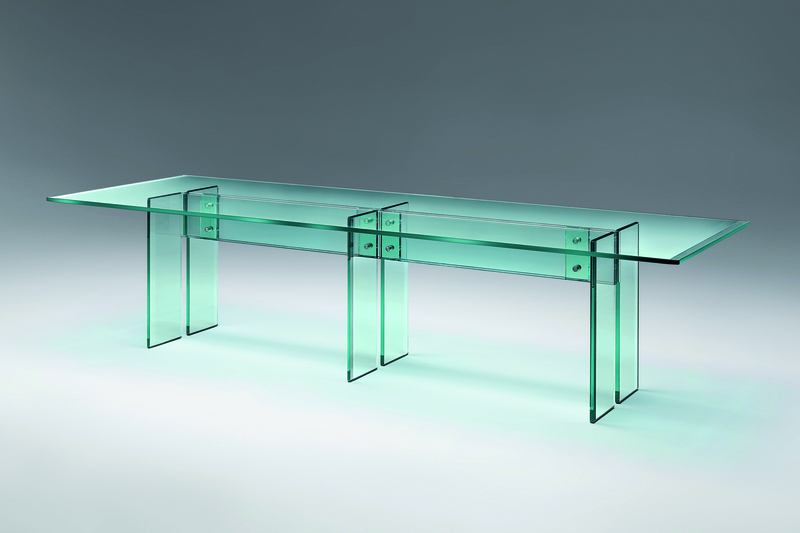 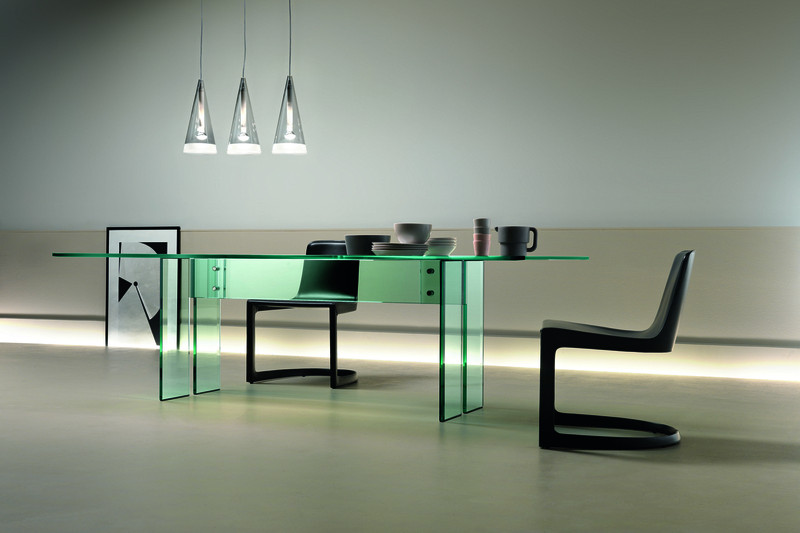 LLT Table, composed of a 15 or 19 mm thick transparent glass top with bevelled edges on the two shorter sides and of a base in 15 or 19 mm thick transparent welded glass with bevelled edge. 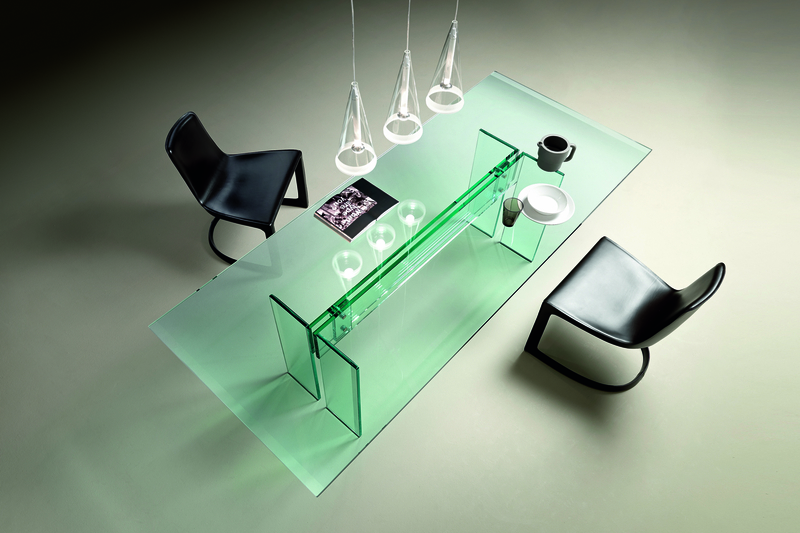 Fastening elements in stainless steel, which can be fitted with two or three bases depending upon the top length. 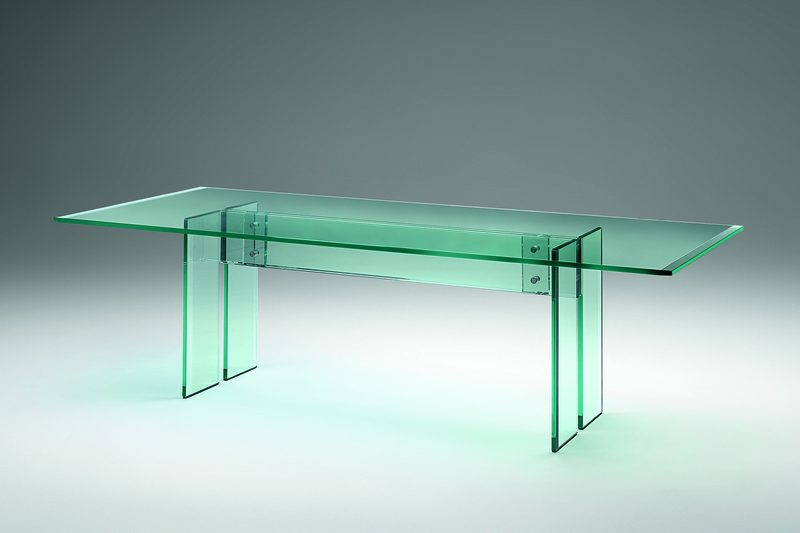 Also available with custom sized tops.